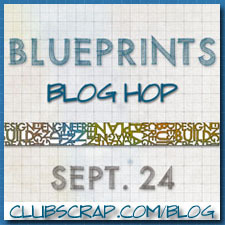 Welcome to my little part of the Club Scrap blog hop featuring the September 2014 kit Blueprints. If you got here from Tiare's blog, you're in the right spot. 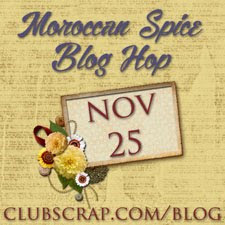 To start from the beginning or see a list of all the bloggers participating today, check out the new Club Scrap blog. 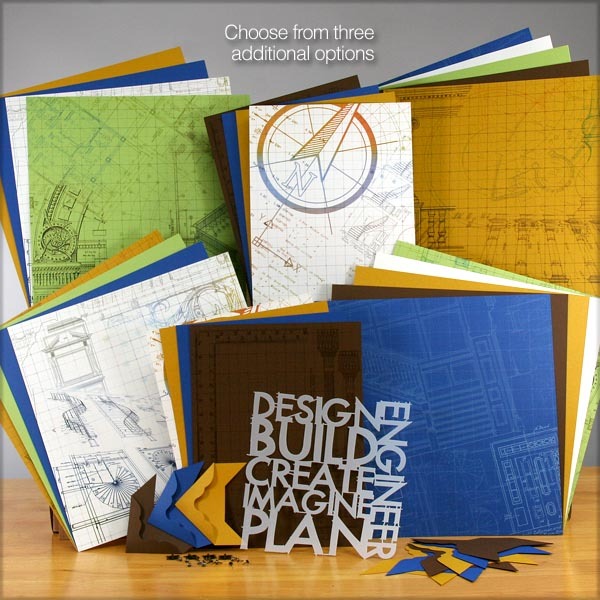 This kit is so much fun and has great potential for a variety of scrapbook pages and papercrafting projects. I can see this used for pages/projects about home building and renovations, architectural wonders, school projects featuring measuring and/or construction, even Lego creations. I really wanted to use the Builder's Masking Stencil pictured with the kit items above. I even pulled out the white paper and some sprays and played with it. But, then I realized it was too big for my 6x6 canvas! So, here's my Blueprints project. The photo is of our home. I took it one day several years ago when I noticed how gorgeous and ethereal the clouds were over the house. The foundation is a 6x6 canvas inked with Club Scrap's sapphire ink. 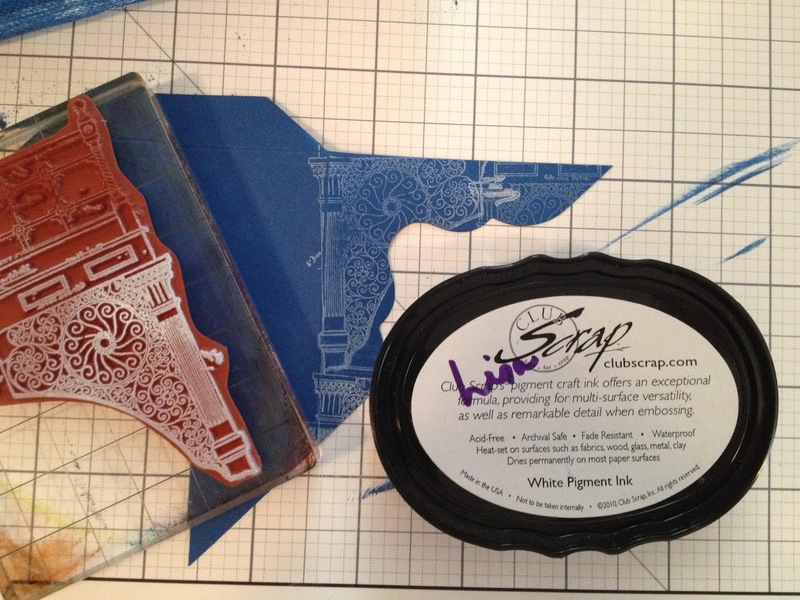 I also used white pigment ink to stamp two blue jumbo photo corners with the large stamp from the Blueprints Borders and Backgrounds sheet. 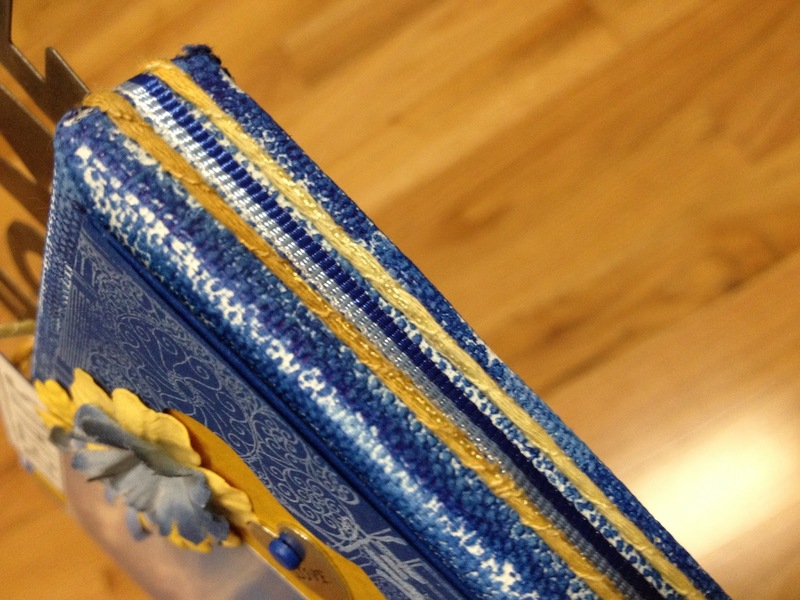 Here are a few detail pics of the project. The flowers, brads, and all metallics are from my stash. Fibers are from older CS kits. Thanks for stopping by and I hope you enjoyed my project. Up next is Marya. 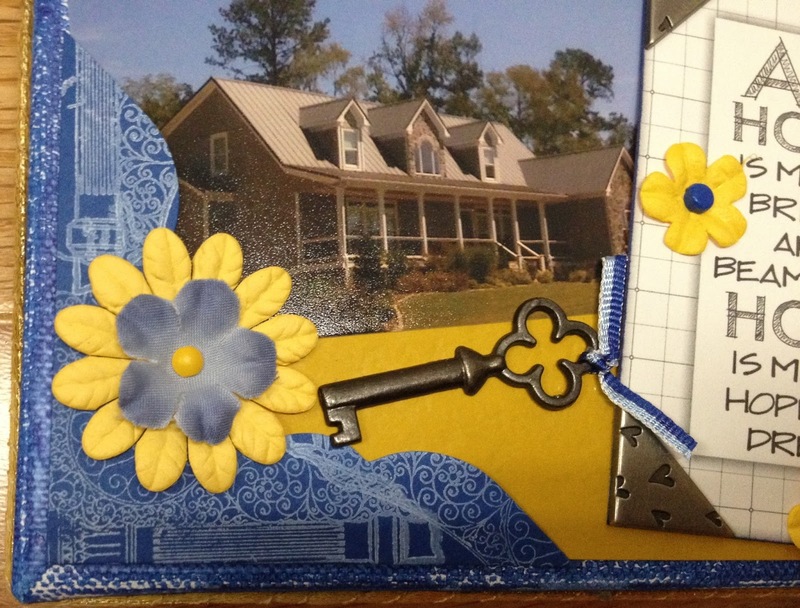 Click HERE to see her creative project and continue along the hop. pretty awesome to look at. Hope you have some space left to hang it! Just lovely and so well made. Really like the metal letters too. What a great idea to use this collection to showcase your beautiful home on a canvas. Love it! Really beautiful! Love the idea! Super cute. Colors just pop. Love the use of ribbon around the outside of the canvas! Genius. 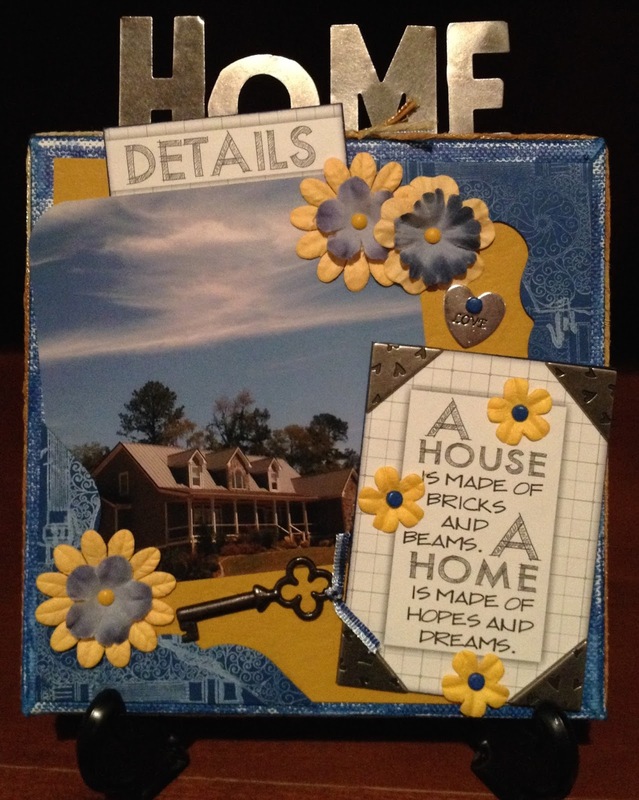 Love your canvas, great project; beautiful house! Beautiful canvas - such a lovely design. Love all the little metal doo-dads you have included. We always have a stash of that kind of stuff that we need to use that is buried under piles of other stuff! What a lovely canvas! TFS! 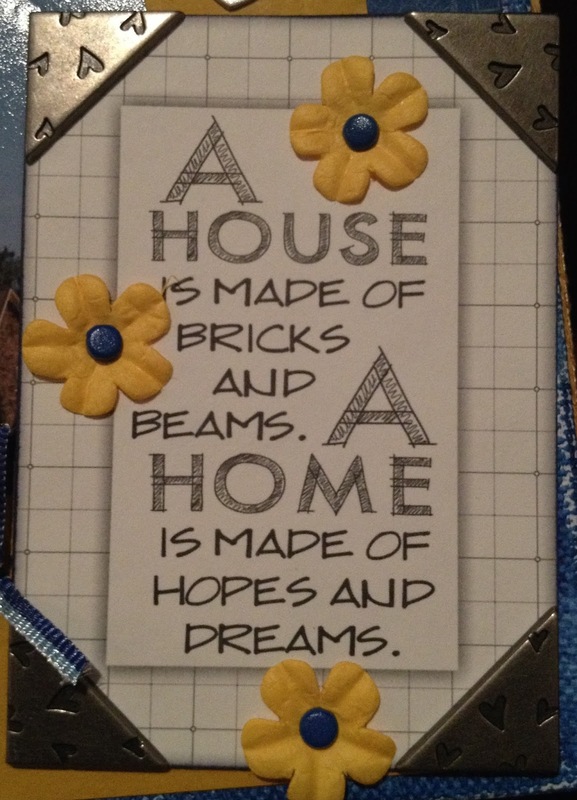 This is a fabulous idea for a new home! Thanks for sharing the idea. Have a great day! I like all the little detail. 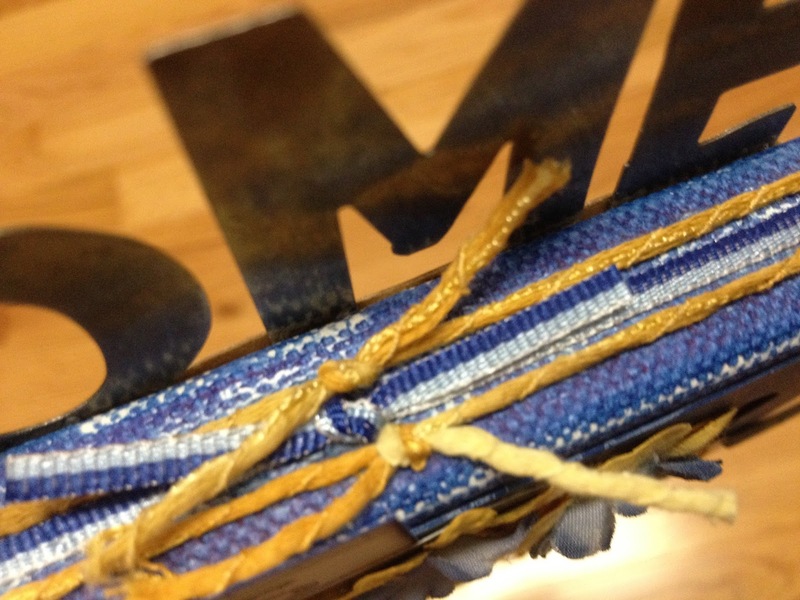 I like the ribbon on the outside of the canvas too! Your canvas is beautiful. 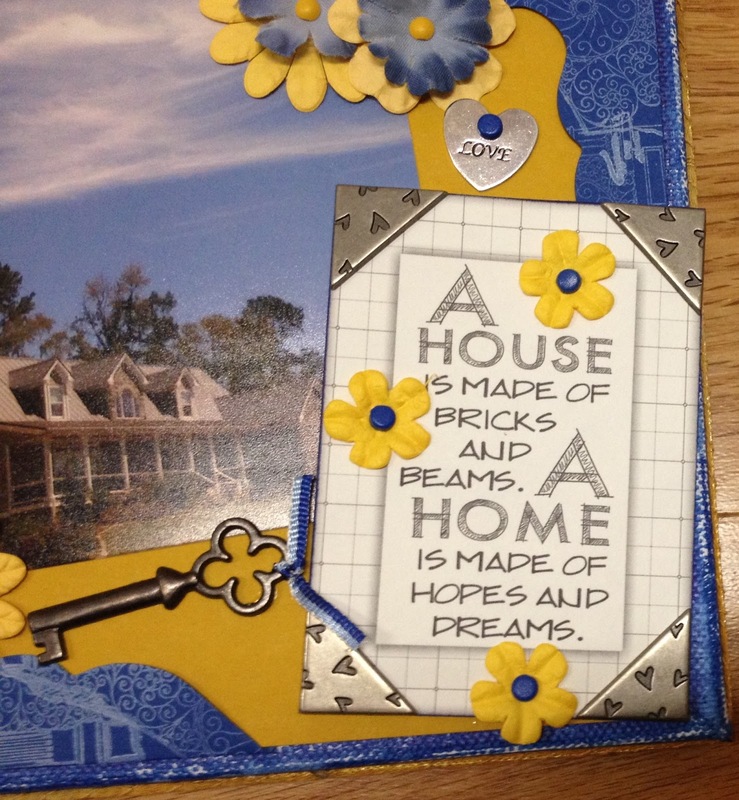 I love how you stamped the corners and added the home letters. Oh Lisa, how sweet is this canvas! So many great details to say the least to house a beautiful home. Lovely canvas! 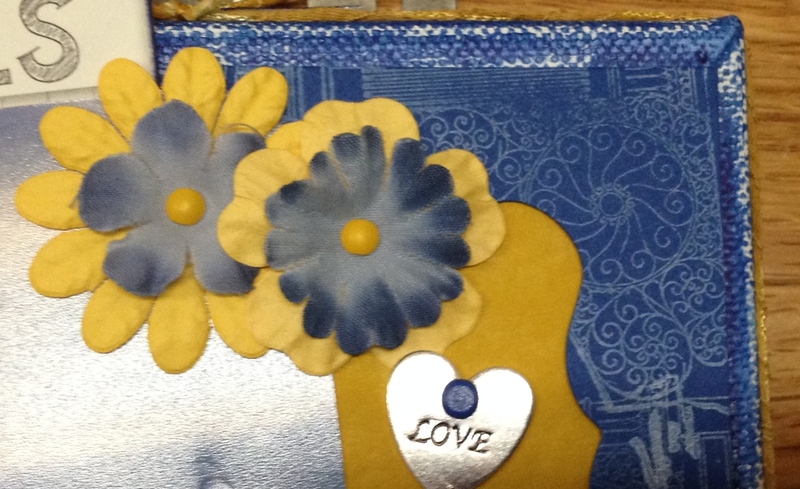 Love the stamping on the corners and all the little details you added. Your canvas is beautiful. Lots of details. Just beautiful! Great picture and wonderful canvas to showcase it!